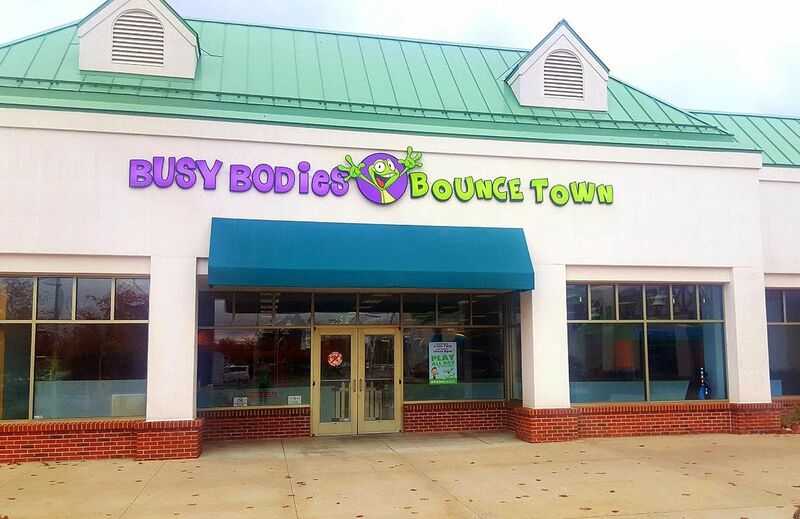 Busy Bodies Bounce Town is a 10,000 square foot indoor play center conveniently located near the airport, in the Cherryland Center at the intersection of Garfield Avenue and South Airport Road. 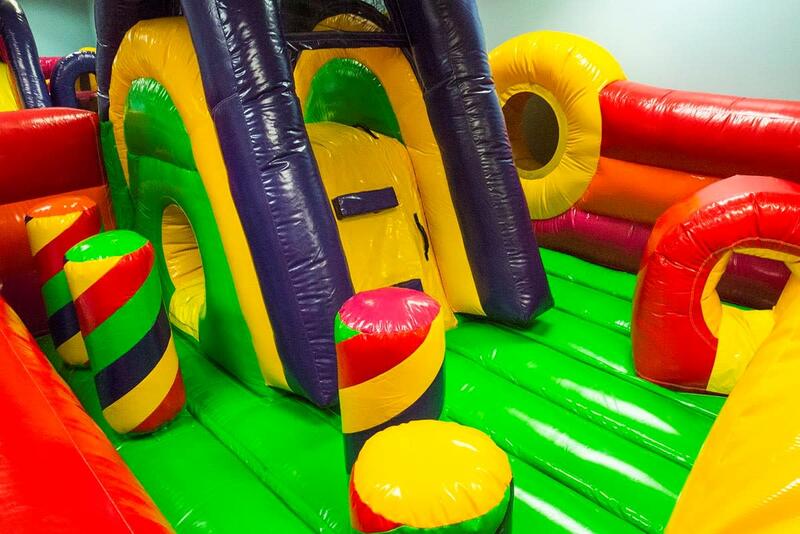 They have a variety of inflatable bouncers and obstacle courses to entertain elementary school age children or younger, with a special toddler area for the smaller children. 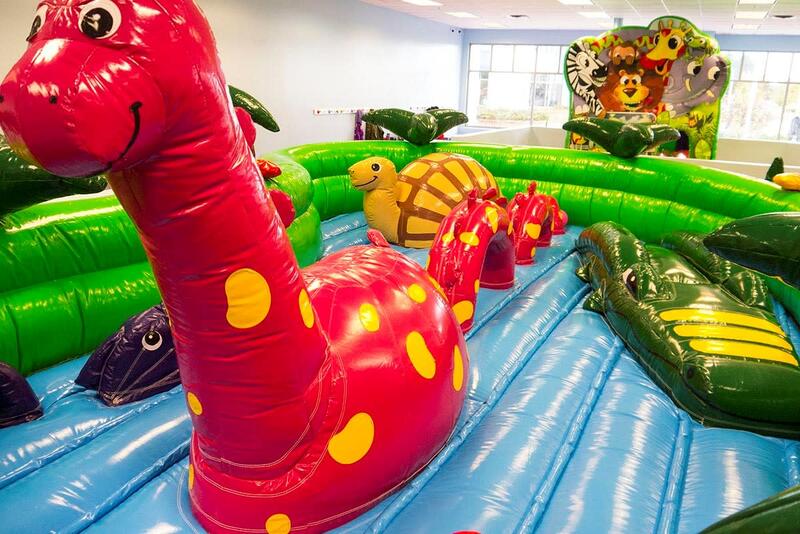 General admission is only $12 per child for unlimited playtime or $5 for the toddler area. Bracelets at check-in allow you to come and go all day. 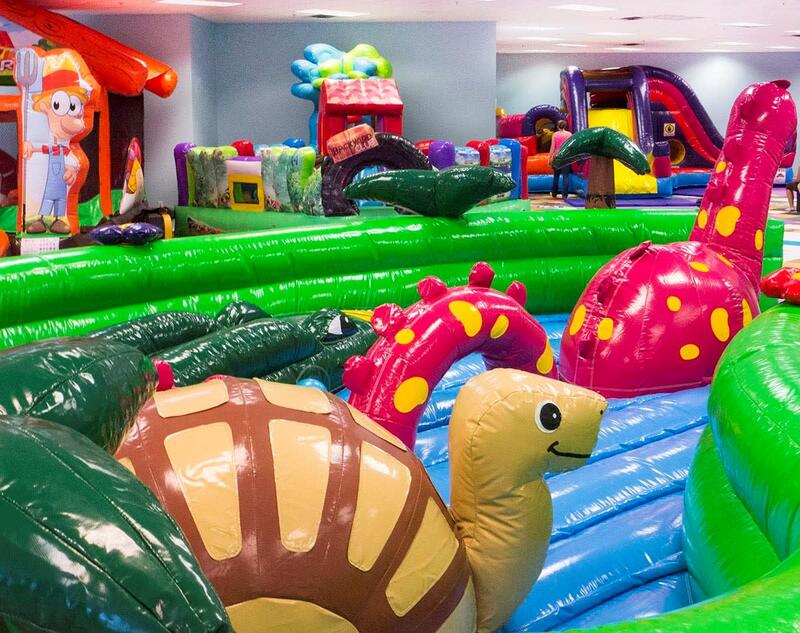 Parents are free, but bring socks for everyone coming (adults and children are required to wear them to enter). 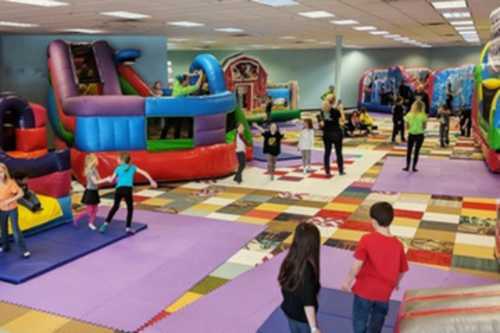 Parents can play with the children or the open floor plan allows parents time to relax, catch the game, or read a book while still keeping an eye on the little ones. 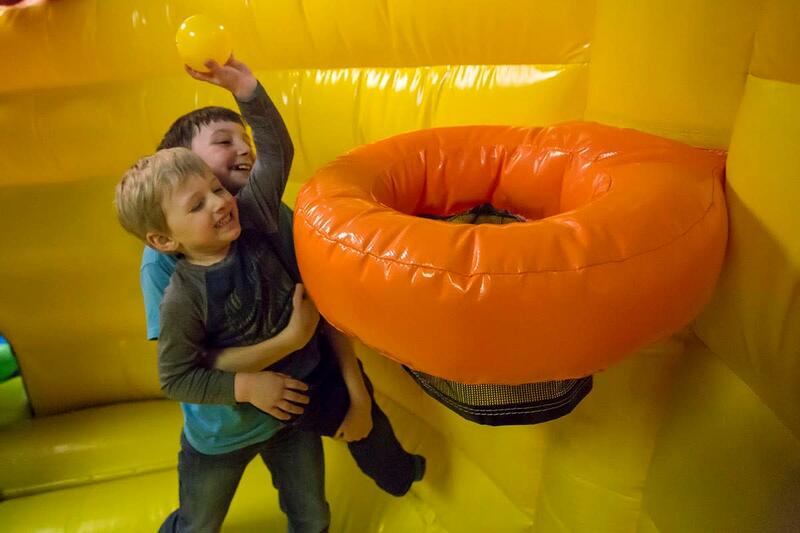 Have a fun day stimulating physical activity, fun, and friends. 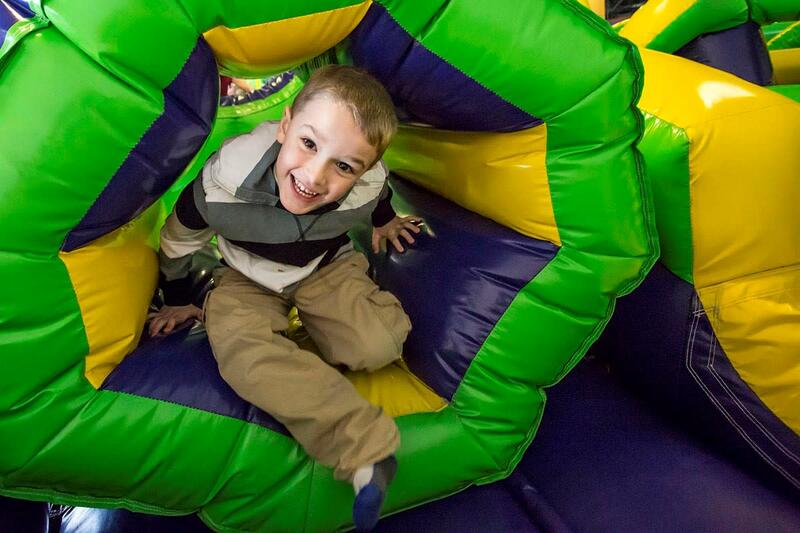 Special accommodations for birthday celebrations are available, make a reservation for the private party room online! 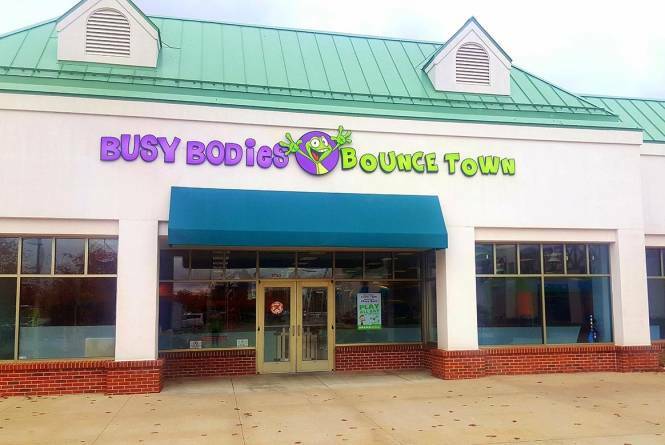 Check them out online or call for more information.